The Tom and Will Music Case in a navy finish is a great accessory for the musician on the go. With its lightweight design, a tonne of space and a section for a music stand, the case caters for everybody’s needs. The case also comes with two sturdy clips and two handles; one suitable for transporting over your shoulder. The shoulder straps included with the case provides excellent portability of music. Whether travelling to lessons, rehearsals or performances, the shoulder straps or carry handle will enable you to carry this case around effortlessly. 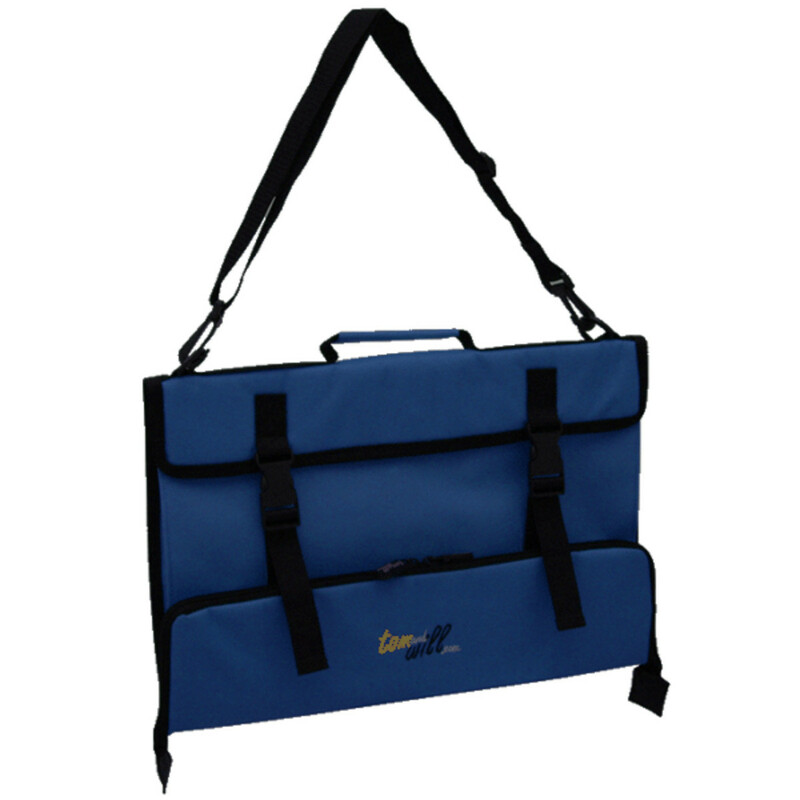 This gig bag has been designed for the transport of any sheet music with minimal effort and plenty of padding.